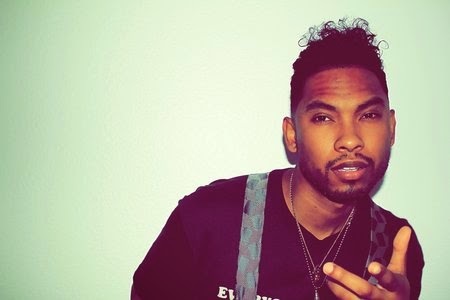 Miguel is baaaaack. Pretty sure we haven't heard from him since the Girls soundtrack contribution. Which wasn't that long ago but my memory is Dory status so it feels like 1 million years. To give you a better idea of this, Nelly Furtado's career might as well have not happened to me. Anywaysss, "Coffee" is the new jam, and it's predictably smooth. The vocals are seductive to the point where I feel uncomfortable with myself. And that is really saying something, because I'm pretty sure all Miguel is doing is sing the story of his weekend. Literally it is the list of things he did on Friday. Exhibit A: "Gunplay turns into pillow talk / Pillow talk turns into sweet dreams / Sweet dreams turn into coffee in the morning" So from this we know Miguel was potentially involved in a drive-by, but he made up w his aggressors and ultimately they had a fun slumby complete w brunch in the AM. If my Friday night was chronicled in a song , it would b like, "Vodkaaaa turns into vommin / Vommin turns into nommin / Nommin turns into REGRET" Sorry that was dumb. But tru. Luvu Miguel.